Rooftop restaurants, art galleries, colonial charm, and Pinterest shots. 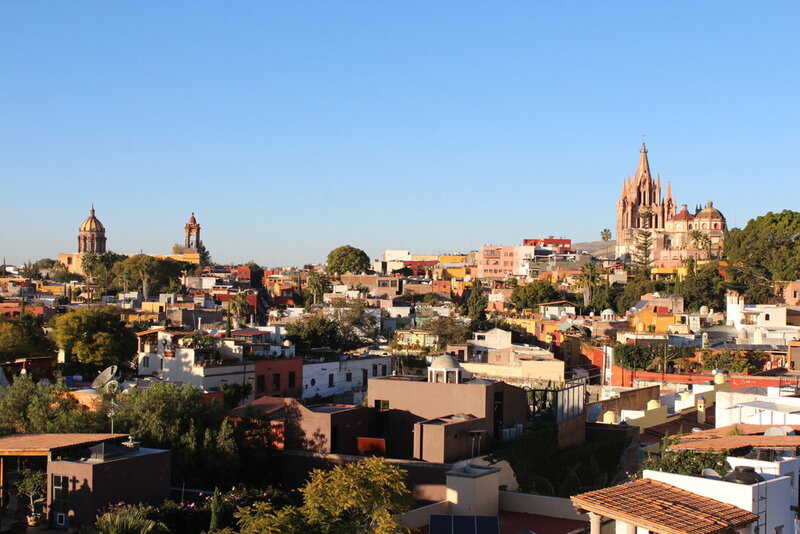 San Miguel de Allende, Mexico, is a beautiful inland colonial town that rewards those with a sense of curiosity. Because the majority of homes and businesses in the central core are tucked behind tall walls, you definitely need to keep your eyes peeled for hidden gems in courtyards and down narrow hallways. Although most popular with expat retirees, it’s definitely a unique and romantic spot for anyone to come and enjoy. There are endless reasons it made #1 spot on Conde Naste’s 2018 Best Cities in the World, and here are a few of our favourites! In town we found it most fun to just head out in the morning with no agenda and wander. There are so many lovely galleries, shops, and restaurants to explore that the day will fly by before you know it. The sunrise tour takes you right above all the main streets and buildings of SMA, including La Parroquia. It then cruises over the countryside and offers an amazing view of Lake La Begoña. A totally surreal experience! The cherry on top of the morning is a delicious brunch at the landmark Rosewood Hotel. A jam-packed series of stalls covering three blocks that is filled with more than the regular goods you see again and again around town. Silver, crafts, jewelry, pottery, metal, papier-mâché, blown glass…it’s endless! This massive concentration of contemporary art galleries and design studios (mainly expats work) is housed in a remodeled raw-cotton factory on the north end of town. Many of the artists are there working, so it’s great to get to talk to them about their work. We spent half a day exploring and still hadn’t covered close to the whole thing. Because we were in town over Christmas and NYE we wanted to do something to give back to the community as is common at home in Canada. Having a dog of our own, walking dogs at the local SPCA was an easy choice, and we spent two great mornings doing laps around the local neighborhood with a range of furry friends very grateful for some love. The staff running the place may have been even more grateful! Visit yourself for some good karma along your travels. About half an hour outside of SMA, it’s best to go early and during the week to avoid crowds and to snag a good lounge chair. 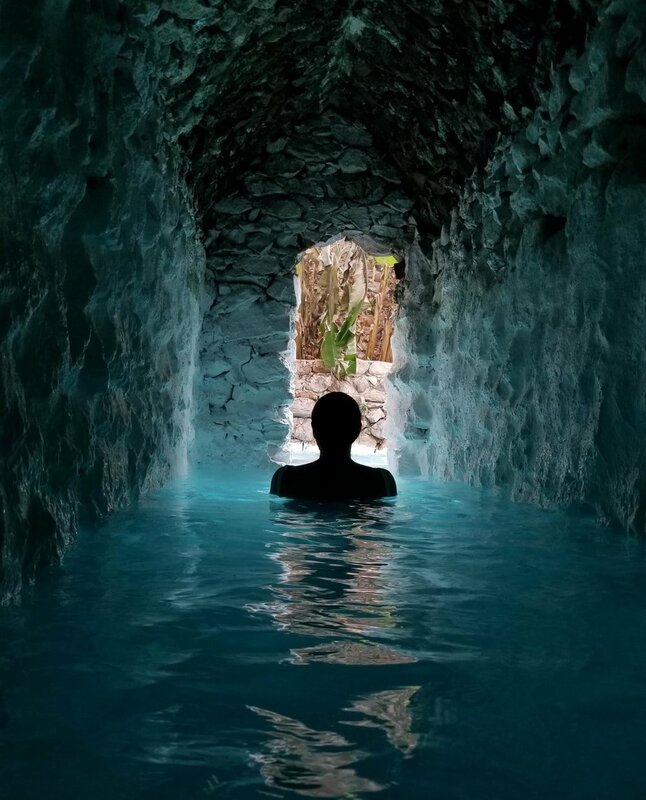 Head straight to the grotto to make sure you get it in all of its tranquility. This can be combined with the Galeria Atotonilco and Sanctuary of Atotonilco (see below) for a full day trip. Taxis should be around 150-200 pesos each way, and the bus is 20 pesos. Located just a couple minutes from each other, the first is a church complex designated a World Heritage Site. 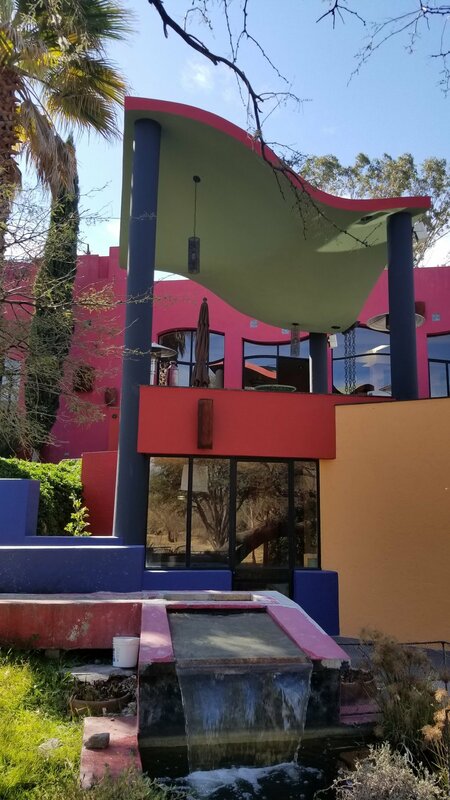 Be sure to enter the first room on your left, said to be the “Sistine Chapel of Mexico.” The second is a man and a wife's private estate that they’ve turned into a superb Mexican folk art gallery. It is partly comprised of their own vast collection housed in their actual home (a work of art itself! ), and partly actual pieces for sale from artists around the country. If you’re into folk art, this is a must! 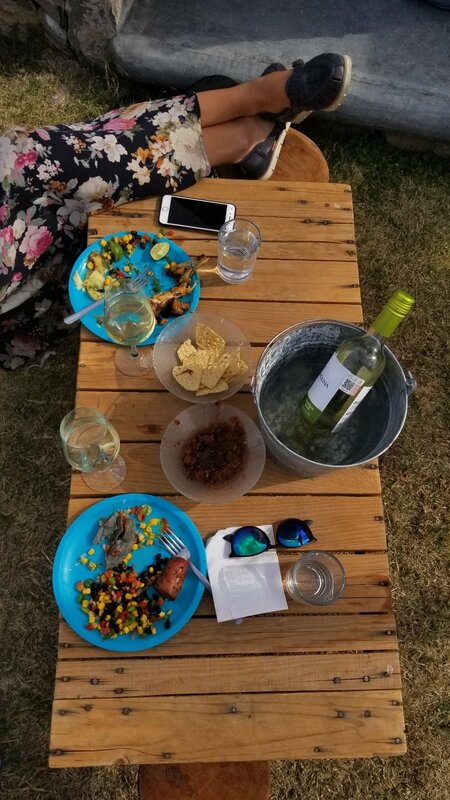 Located a 20 minute drive from town into the desert, this beautiful outdoor music venue hosts Sunday afternoon guitar concerts every few weeks with a delicious Mexican feast to go along. Buy tickets through their Facebook page. 1. Cafe Rama: Incredible food in a very cool setting of old retro mexican art. We recommend both the Croque Monsieur à la Rama and Madame, and both the jugo verde and jugo rojo! 2. Cent'Anni Restaurante: If you’re into pasta, this is a must-visit spot to try their fettuccine bruccresto – it’s tossed in a MASSIVE Parmesan cheese wheel right in front of you before being plated. Very cool! The burrata cheese starter was also delicious, the lasagna… decent. 3. 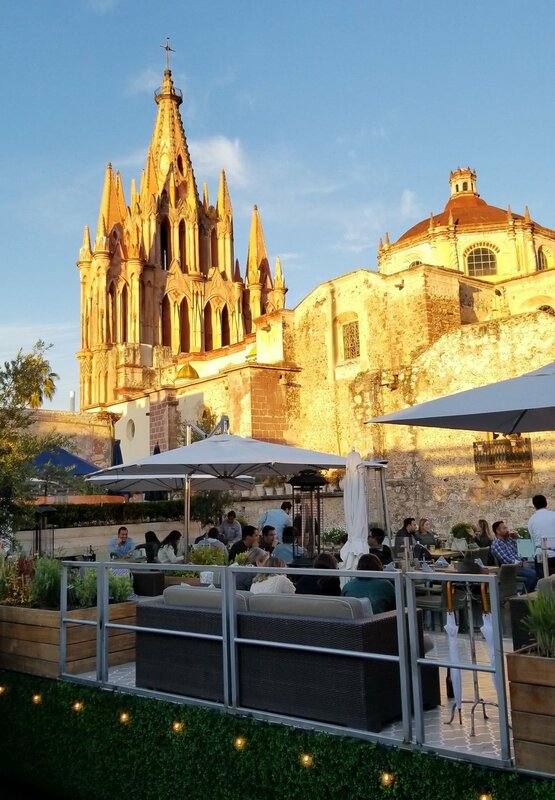 La Posaditia: Amazing (romantic) rooftop dinner spot overlooking La Parroquia. We both had the dill salmon, a wonderful break from Mexican food. 4. Zumo: Stunning view of the city out toward a nearby lake. The brunch menu was the most unique we saw in town (hello French toast casserole), and the owners and staff totally went above and beyond to celebrate a birthday. 5. Local 67: One of those bang-for-your-buck spots with favourites from home but with a local twist. The complimentary fresh bread and homemade guava jam to start was lovely as well. 7. Café del Diezmo: Set in a beautiful courtyard with huge trees, flowers, and chirping birds. We highly recommend the chipotle eggs benedict served on corn cakes, or their breakfast version of chiles rellenos stuffed with scrambled eggs. 8. El Manatiel Cantina: Small and funky neighborhood joint. Try the Peruvian ceviche served with plantain chips. They also have great ginger margaritas, a little something different. 9. BONUS: If you’re looking to stock your fridge with healthy food and buy from a range of local, mostly organic vendors, visit the Mercado Sano. There is even a tiny movie theatre offering an interesting range of films in English. Don’t miss the Saturday farmer’s market from 9 am – 3 pm for an even greater variety of offerings! 1. Quince: Chic (i.e. pricey) rooftop bar/restaurant with an unbelievable view of the La Paroquia. We only ordered fries, and really didn’t enjoy them, so might recommend just going to try a couple of their very unique cocktails and taking in the scene. 2. Luna (at the Rosewood Hotel): It is no exaggeration to say that it truly takes your breath away to walk out onto this rooftop bar for the first time. It has THE most incredible view of the entire town, and is the perfect place for sunset drinks. Modern music, great staff, and complimentary nibbles. 3. Tupia: A cool multi-floored rooftop bar that is especially a must-visit if you’re into electronic music. They always have a DJ playing a sun-set set (6 pm) and then a moon-set (9 pm). Great views of famous landmarks. 4. Rooftop bar of CASA NO NAME: Set in an elegant boutique hotel, because its rooftop doesn’t have a view of the town it is the perfect place to come for a post-sunset beverage. Curl up around the fire and sample the extensive range of unique cocktails. The entrance to the rooftop is hidden in a garden at the very back of the hotel and then you walk up the stairs. Get your camera ready because this place has very unique design and architecture. 5. 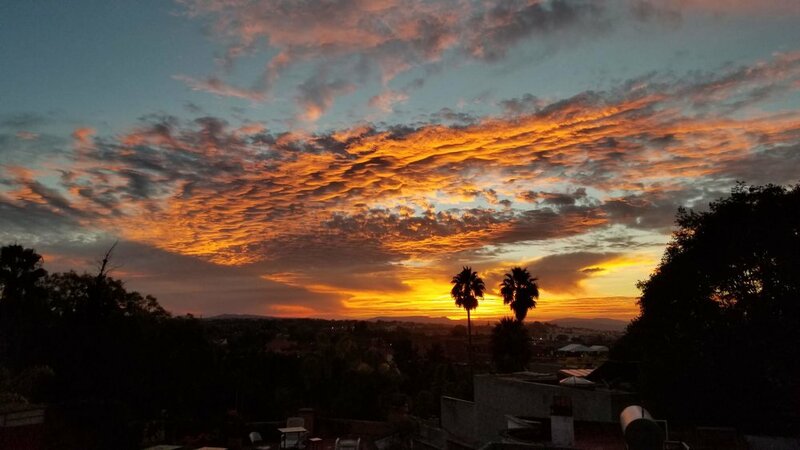 Casa Chiquita Correo: Great sunset spot overlooking town. Affordable drinks, chill vibe, and the food looked delish. 6. Cumpanio: If you’re visiting during winter try a glass of their mulled wine. They make top notch dirty martinis and truffle fries as well. Enjoy exploring this magical place! 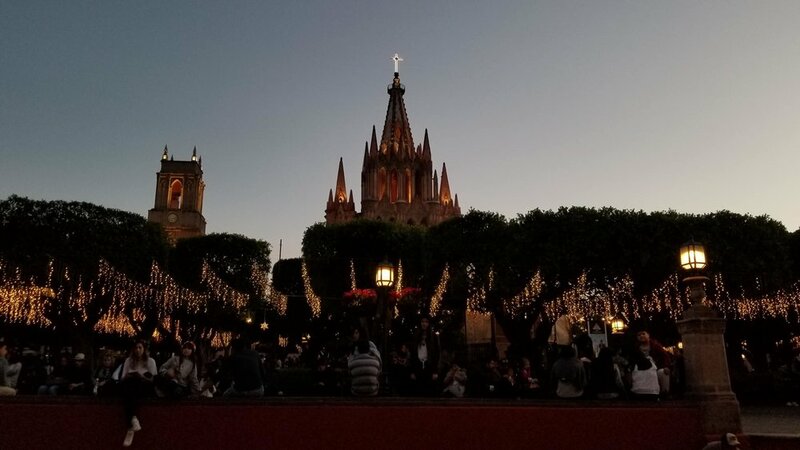 Check out our highlights vid from San Miguel and nearby Guanajuato! Click here to discover how you can travel the world and make money wherever you are! Located on the west coast of Mexico just 45 minutes from Puerto Vallarta, this charming surf town has exploded in popularity among North Americans. We can see why. Big waves. Endless beach. Pom poms. Palm trees. Golf carts. Street tacos. Bright colours. Chill vibe. “Hippy-chic.” Beach vendors. Expensive boutiques. Street flags. Dogs everywhere. Something has been stirring within me for quite some time now, craving freedom, expansion, and adventure. It is undoubtedly the ancient part of me, my eternal soul, asking for a significant change in routine and environment in order to grow in the ways it set out to in this lifetime. It wants to fully experience the magic and abundance that is available to all of us if we just have the courage to step outside of what is familiar and fall (with faith) into the great abyss of the unknown.